With the news out of Orlando this week, as well as all the other traumas hitting the news this week around Florida and the rest of the country, it’s been hard to focus on work. 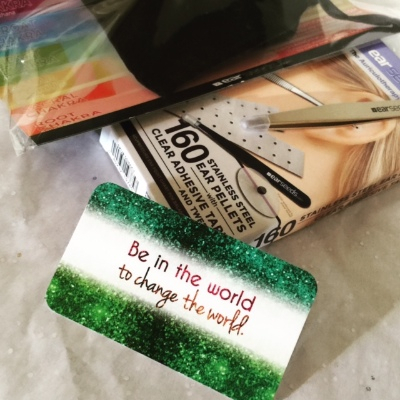 You want to do more, to add something positive and helpful into the world to help combat all the heartache and fear. Sometimes we have to look so much harder for just that little bit of light. Yesterday we received this email from an acupuncturist based in Orlando. She was happy to let me share it with you. “Today I treated my first patient connected to the pulse nightclub shootings in Orlando. My patient lost five friends and may lose a sixth. He was not at the club when the shooting happened but many of his friends were. He has terrible survivors guilt because he chose to stay home that night and not go to a birthday party there. After his treatment I put colored Crystal ear seeds on him complementary. His eyes lit up when he saw them. He said he was going to wear them to the vigil tonight in hopes to be the envy of all his gay friends. I just thought I would share the story with you. Right now, at this very moment your seeds are helping someone deal with this tragedy. If I could afford to I would put your Crystal seeds on all of his friends. I just broke down reading it. 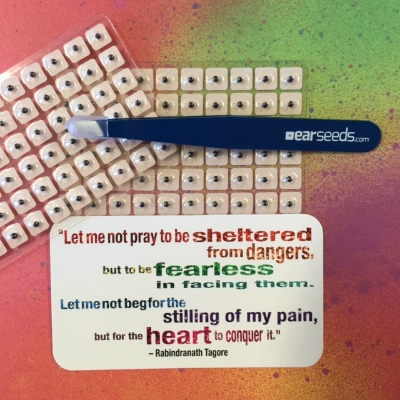 This morning we sent her a whole rainbow of Swarovski Crystal Embellished Ear Seeds as well as a ton of Vaccaria Seeds to share with the acupuncture trauma team she is a part of in Orlando. As a business and as a family we are very inspired by the power that spreading positivity can have on the world, so this email was incredibly meaningful. As an individual, an artist, I am personally inspired by the power that color and sparkle can bring to a dark situation. Many of you have probably received inspirational “Muchness” cards with your orders. 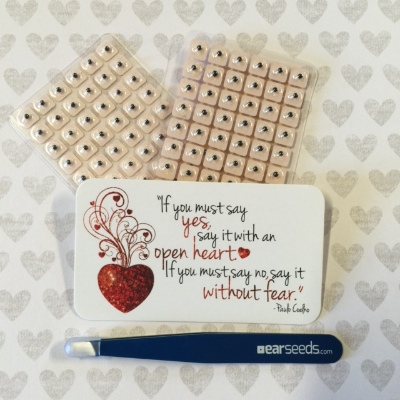 I created them as part of a personal positivity project and it gives me an extra boost knowing that the messages on them are finding their recipients through our EarSeeds packages. If you’re located near Orlando or if you’re dealing with personal grief or trauma, or others that are, we created this free chart with four points that you may find helpful. 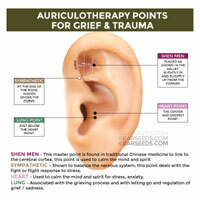 Just click here and we will email you a printable grief and trauma ear chart.